A jam-packed, eventful, tiring, rewarding week, as transfers always seems to be. Tuesday was a crazy day. We spent the morning doing some office work, and then we did a deep clean of the office to get ready for the new missionaries. They all arrived at about 5pm. There are 11 new missionaries, one hermana and ten elders (3 latinos and 7 gringos). They are all awesome, happy, spiritual missionaries who are excited to work and baptize. They arrived tired, but excited, and we spent some time chatting with all of them while they each wrote quickly to their families, filled out a questionnaire, and had a quick welcome interview with Presidente Perez. After we finished up all the interviews, we all went to the mission home for dinner. I sat next to Elder Tutton, and we talked a lot. He seems like a great guy, and he was happy, and excited to get out there and work, and excited to be in Argentina. After dinner, we took all the new missionaries to our apartment so they could get some rest, and then Elder Llanos, the asistentes and I went back to the office to wait for the suitcases. The suitcases always arrive separate, and normally about an hour before the missionaries, but they had been delayed. We waited, and we waited, and we waited, and they weren't arriving. We called the guy who was in charge, and he told us that the driver's cell phone had died, so we couldn't communicate with him. Finally, we left Elder Blackmon and Elder Robles waiting in the office, and Elder Llanos, Elder Maynard, Elder Pearson and I went to Walmart to buy some things that we needed for the next morning. We had planned on going earlier, but the suitcases delayed us, so we ended up going at about 11.30 at night. Definitely a first in the mission. But we took a couple pictures just for the memories. As we dropped off Elder Pearson and Elder Maynard at their pension, Elder Blackmon and Elder Robles called us and told us that the suitcases had finally arrived, and this was about 12:30 at this point. We called the stake president, Presidente Carlotta, who has a big van and was going to help us bring all the suitcases, went back to the office, loaded up the suitcases, and brought them back to our pension. We finally got to bed at about 1:15am. It was definitely a long day. Sometimes the suitcase guy just doesn't deliver jaja. Wednesday morning Presidente and Hna Carlotta came and made breakfast in our pension for all the new missionaries, and then we headed over to the church to have the meeting where all the new missionaries meet their trainers. We gave an introduction to the mission, I gave my little short training on the finances of the mission, and then everybody got to meet their trainers! That moment is always fun. After that we had lunch together, and then we sent everybody off! That evening, Elder Llanos and I spent most of our time preparing our announcements for consejo de la misión (mission leadership council) and getting caught up on our office work from the last three days. Yesterday was crazy, as we had to get caught up on about a week's worth of office work. 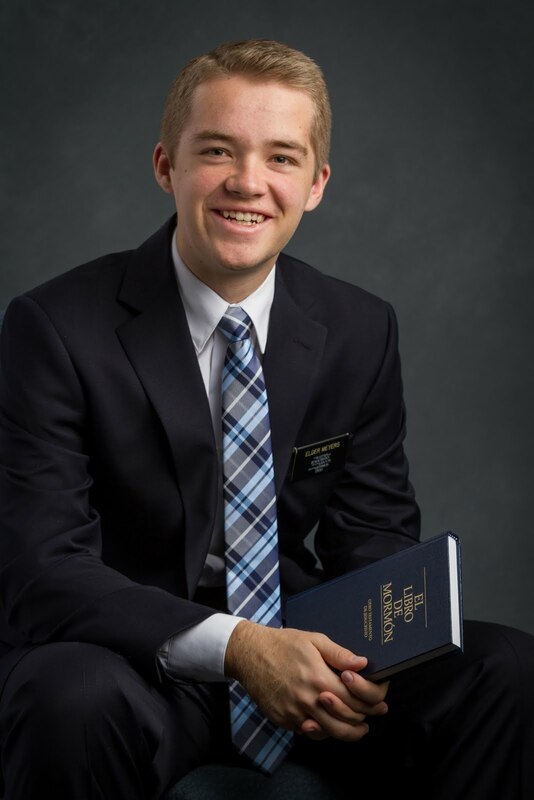 Elder Clayton also headed out yesterday for Victoria, so he is officially gone. Overall, it's been a packed week. One of the coolest things this week was that even though we were absolutely slammed with things to do, Elder Llanos and I made the effort to go out and work in our area in the little time that we had, and even though we were only in the area for a matter of hours this week, we were able to successfully commit an investigator to come to church, teach a lesson to some other progressing investigators, find some contacts that we had done and set up follow up appointments, as well as find an entire new family that accepted an appointment for next week. It was absolutely miraculous. The Lord is truly a God of miracles, and I know that when we put Him first, when we make the time for Him, he magnifies our efforts and makes up for what we can't do ourselves. That is why it is so critically important to have the Spirit with us as missionaries (and members of the church). Without the guidance of His Spirit, it would be almost impossible to do this work. This work is so much bigger than any of us. It is the work of eternity, and it is directed by Jesus Christ, our Lord and Savior. He works miracles, and what a satisfying experience it is when we can be a part of that work. I know that the Lord blesses us when we do what He asks us to do.